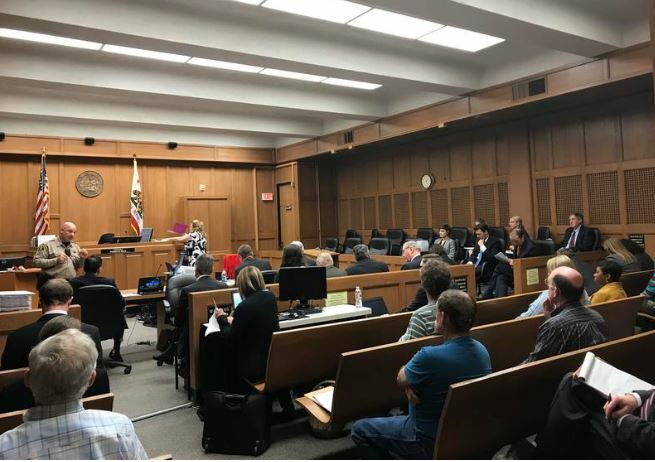 The first phase of the trial over Monterey County’s voter-approved fracking ban wrapped up Thursday afternoon. Judge Thomas Wills has 90 days to make a decision. Oil companies and royalty owners filed multiple lawsuits against the county after Measure Z passed last November with 56% of the vote. Beyond fracking, Measure Z also puts other limits on gas and oil operations. KAZU’s Krista Almanzan spoke with KAZU’s Erika Mahoney on Wednesday. Mahoney sat in on the trial. KA: Remind us what is Measure Z – it’s a ban on fracking but it goes beyond that? EM: Yeah Measure Z goes beyond that. So first it phases out the disposal of wastewater from the oil production back into the ground and it all also bans the drilling of new wells and it also bans well stimulation techniques, which is actually what fracking falls under. KA: What is this trial about? EM: One of the fundamental questions in this trial is who has the right to regulate the oil and gas industry. The people behind Measure Z say for Monterey County is should be the local government because the people have spoken. They passed Measure Z last November. Those against Measure Z argue there’s already a regulatory agency in charge, California’s Division of Oil, Gas, and Geothermal Resources.